Maurice Jenkins, IAP C.M., functions as the principal advisor to the Aviation Director on all matters related to information management and information technology. He has served in this capacity since September 2000. Mr. Jenkins has full strategic and tactical responsibility for the direction, planning, creation and operation of the Aviation Department’s information technology infrastructure, telecommunications services, application support, end-user support services and training. Mr. Jenkins is responsible for defining and managing capital planning as well as investment management processes to ensure their successful implementation and project integration and implementations within the department budget as it pertains to the acquisition and planning processes. Prior to his appointment as Division Director, he served as the Aviation Department’s Chief of Information Systems, responsible for the development and implementation of standards-based policies and procedures that support business operations which improved the overall quality of service of enterprise IT systems. Mr. Jenkins’ strategic vision has successfully culminated in the integration of new technology in the opening of the new South and North Terminals at Miami International Airport. In addition, the success of these new system implementations such as Propworks and PeopleSoft ERP show his technical acumen and dedication to serve the people of Miami-Dade County. Mr. Jenkins has implemented an area wide marketing information service to both hotels and conventions centers using current flight information data from Miami International Airport. AAAE and ACI best in practice initiatives are strictly adhered to that display his commitment to providing the highest level of service governed by industry standards. Mr. Jenkins graduated from the University of Miami with a bachelor’s degree in business and computer information systems. He also earned certifications in strategic management from Florida International University and human resources management from Nova Southeastern University. 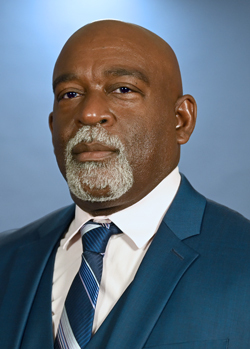 Mr. Jenkins served as the chairman of the Business Information Technology Committee (BIT), which was established by Airports Council International (ACI) to set strategic objectives future technology direction for airports. He was also responsible for forming and served as chairman of the Florida Airports Council’s Information Technology committee. Mr. Jenkins has given presentations on implementation solutions to key IT leaders and airport IT conferences in the U.S. and internationally sharing his proven successful practices with his peer group.